Between 09.00 and 16.00, Bar Botanique serves a divers breakfast and lunchmenu. 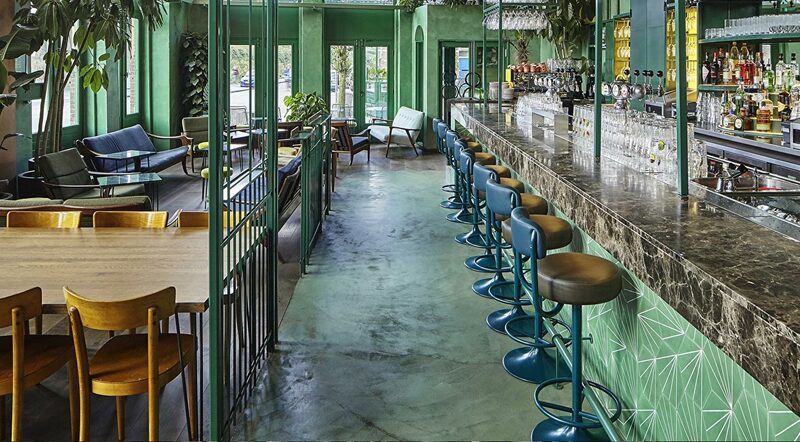 From the most healthy acaibowls to burgers and fries; Bar Botanique serves everybody. From 17.30 till 22.00 you can sit down in the lounge or the restaurant for a simple but delicious pizza, a (vegetarian) burger, but also for mushroomrisotto or seabrass. You'll be surprised. If you're just looking for a bite or some snacks, well, you're lucky, we've got that as well. And not just the ordinairy!